Make a plan between the motorcycle officers to stop the crook! Jump on the police off-road bike or pursuit bike and speed after the tow truck. Recover the safe, make a daring arrest and take the crook off to jail. It's another exciting day at work for the LEGO City police! 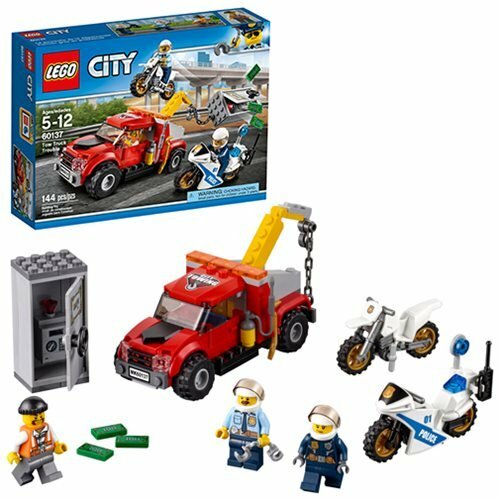 The LEGO City Police 60137 Tow Truck Trouble includes 144 pieces. Ages 5-12.